Formed in 1967 as an electronic rock duo featuring Dan Taylor on drums and Simeon on a homemade synthesizer consisting of 12 oscillators and an assortment of sound filters, telegraph keys, radio parts, lab gear and a variety of second hand electronic junk, the band quickly gained a reputation as New York’s leading underground musical expression. First full-length album was released in 1968 on KAPP Records. The self titled album rode the Billboard Magazine Top 100 list for 10 weeks. The second full length album was released in 1969, titled CONTACT. A national tour was launched by the band’s recording popularity. A third album was recorded in 1970, but not released when KAPP folded.Without a record label the band disbanded, and, except for an occasional bootleg release, was not heard from again until 1994, when a German label named TRC, without license, re-released the first two albums in a double CD version, complete with poster. Since then numerous artists around the world have released covers, tributes and samplings of Silver Apples material. 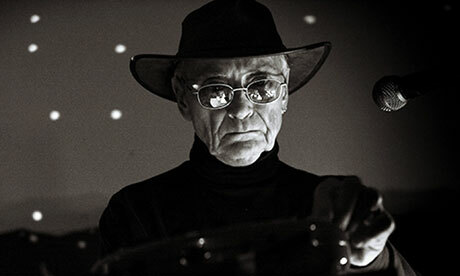 In 1996, Simeon re-activated Silver Apples, recording and performing with many musician friends and admirers. On March 10, 2005, original drummer, Danny Taylor, passed away of a heart attack in Kingston, New York. He was 56 years old. 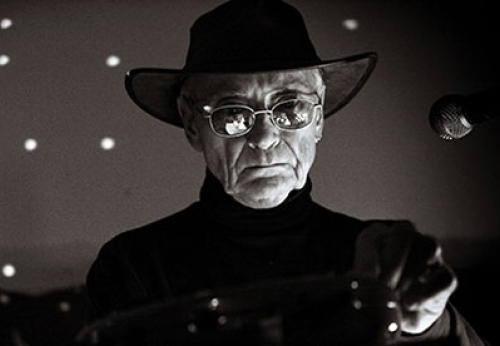 Working as a solo performer, with Danny’s drum sounds recreated by electronic means, Simeon has continued the Silver Apples live concerts with performances literally all over the world. Currently Simeon is still recording and performing as a solo.